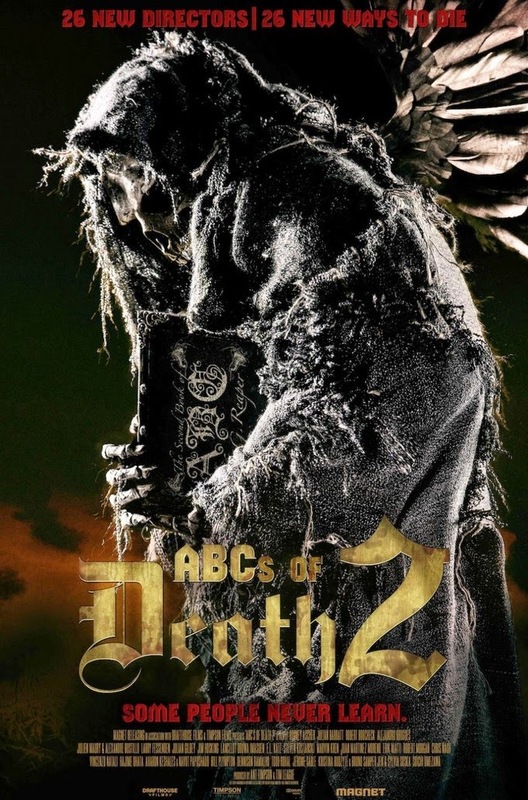 The ABC's of Death 2 will be released on VOD October 2nd and have a limited theatrical run on October 31st. The first film was all over the map as you might expect when a film is comprised of 26 short films. If you are not familiar with the first film it had an interesting concept but the execution ranged from pretty good to unwatchable, it reminded me of going to Spike and Mike's twisted animation festival. 26 directors are all given one letter of the alphabet and pretty much given free rein to make what ever film the want to as long as its title starts with that letter. I'm hoping this film heads the direction of the V/H/S films and gets better as it goes because the first installment wasn't anything I ever need to see again.